At book events I usually read bittersweet or wistful passages that involve Beverly, my novel’s tragic protagonist. For Halloween I’d like to shake things up a bit and draw some blood. 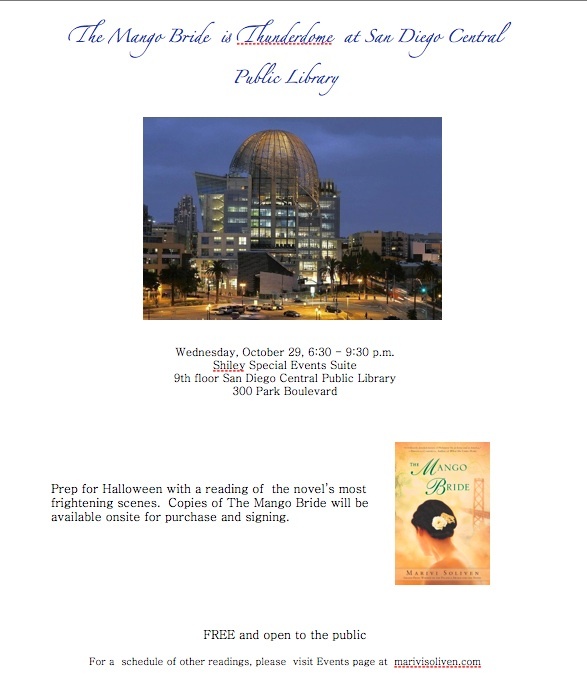 Come to the free pre-Halloween reading of The Mango Bride at the San Diego Public Library and expect to be startled.